Any driver or passenger in an automobile who has experienced a hydroplaning event knows that it is extremely frightening and can result in devastating consequences. Hydroplaning occurs when an automobile travels through water on the roadway, typically at a high rate of speed, and one or more of the tires on the vehicle lose contact with the pavement. Therefore, when a hydroplaning event occurs, the tires literally separate from the pavement or surface and the driver loses the ability to steer or control the direction of the vehicle. If there are other vehicles or objects nearby, this can easily result in a crash. According to Alabama traffic accident reports and studies, thousands of accidents occur every year throughout the state as a result of rain, snow and/or sleet. When the roads get wet, especially highways and interstates, the conditions are ripe for a hydroplaning incident. Drivers and passengers should be extremely cautious when driving or riding in bad weather conditions for many reasons, not the least of which involves hydroplaning. Hydroplaning occurs when a vehicle encounters too much water in the roadway and the tire itself is unable to push through or spread the water sufficiently. The pressure of the excess water gets or stays underneath the tire(s) and causes the tire(s) to lose contact with the road or pavement. Roads and streets that have ridges, valleys or ruts are particularly susceptible to water pooling or standing water. When heavy rains occur or if water runs off the side of the road into the street, these areas pool water. Pooling water is a primary cause of hydroplaning events. Also, the speed of a vehicle plays a critical role in a hydroplaning event. This is why it is imperative that a driver encountering bad weather slow down and go an appropriate speed for the given weather conditions and the amount of water that is on the street. These valleys, ridges and ruts can be created for many different reasons including defects in the design of the road, drainage issues and subsidence from ground water runoff. As a driver, maintaining your vehicle tires is very important. You should periodically check the tread on your tire(s) for good traction and make sure that the tires are inflated properly. A simple test to determine if your tire(s) have sufficient tread depth is to place a penny with Lincoln’s head upside down and insert in the tread area. If you cannot see Lincoln’s hair, then you still have enough tread. If you can, then you do not. If you or a loved one were injured or killed as a result of a hydroplaning event, please contact the attorneys at Alabama accident attorneys at Hollis Wright for a free consultation and evaluation of your legal rights. If a vehicle hydroplaned and hit your vehicle and you were hurt, then you have a right to get compensation for the sustained injuries including your medical bills, lost wages, pain and suffering and emotional distress. If you were operating or riding in the vehicle that hydroplaned and crashed, you may also have a claim against the paving company or designer of the roadway for certain defects that may have caused water to pool. Don’t make the mistake of assuming that you have no legal rights to compensation simply because you were driving the vehicle that hydroplaned even if you crashed into someone else. The Birmingham accident lawyers at Hollis Wright have represented many injured individuals that were involved in a motor vehicle accident caused by hydroplaning. We have the experience and resources to investigate and gather critical evidence to prove your claim. In hydroplaning cases, surveys of the roadway are often necessary and accident reconstructionist need to be hired to investigate the accident and determine what happened. 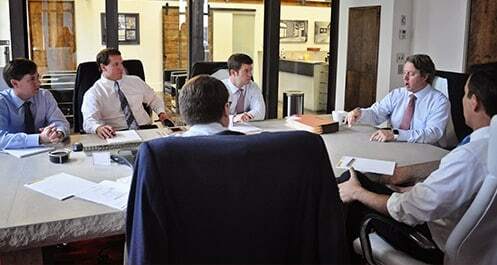 We routinely hire these types of experts to work on the cases in an effort to maximize the recovery for our clients. Call our toll free number 844-529-8255 to speak with one of our attorneys. You may also contact us here. At no charge, an attorney will generally explain your legal rights and talk with you about the steps you should take to preserve and protect those rights.